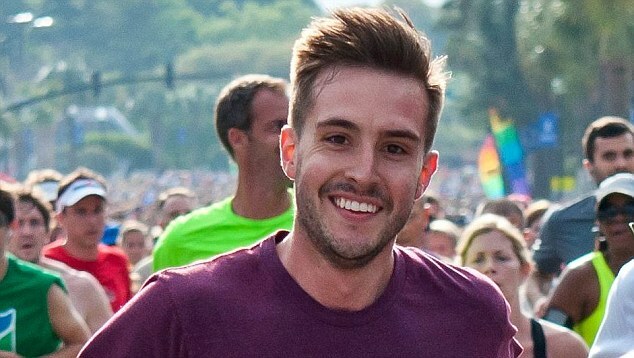 A review of the Ideal Critical Illness Plan giving you increased CI coverage as you age (when you need it most) & at the same time returns comparable or better to a FD. 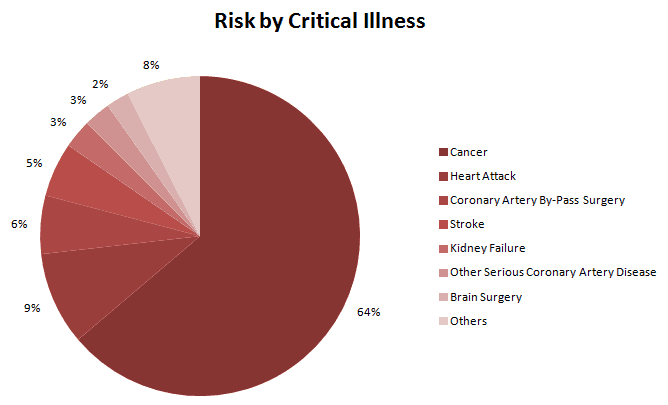 What are we looking for ideally in a Critical Illness policy? Giving you & your dependents greater financial certainty with guaranteed increase in your sum assured no matter Critical Illness, Total and Permanent Disability, Retirement funds, or upon demise. Overview: A life insurance policy that gives financial certainty in times of need giving you comprehensive protection against Critical Illnesses, Total and Permanent Disability (TPD) & death. 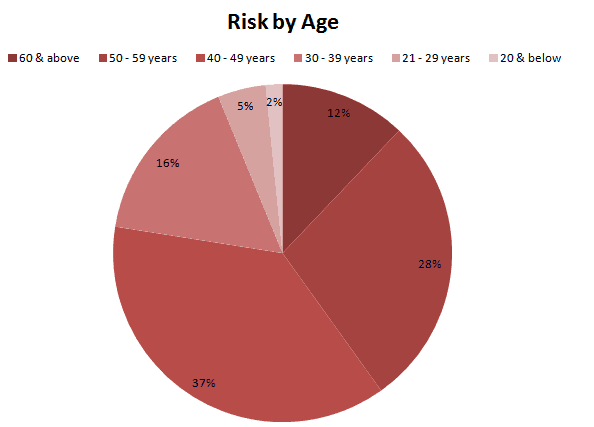 The highest risk age groups are age 40-49, 50-59 & increasingly even as young as 30-39! 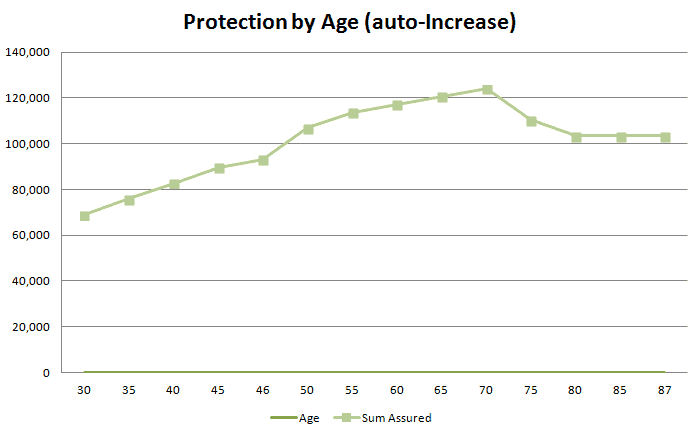 Protection regularly increases (which is good as you get the highest protection during your most likely critical years) until age 70 then reduces. The best part? You don’t have to pay a single cent extra! Tip! I usually advice clients to keep separate insurance & investment products. The worse thing you want is a product that is neither here nor there. And many products which guarantee returns are highly likely scams. However, there are a few unique products (such as this) that actually does make sense & cents (or rather $$!!). 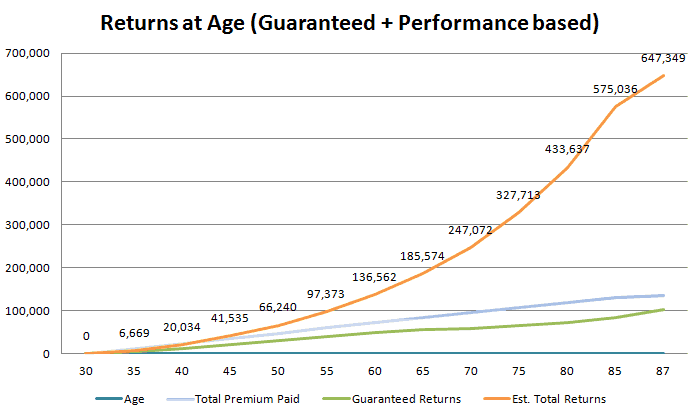 Insurance products are often the only ones that guarantee returns (no wonder actuaries are so highly paid). And this plan provides you increasing over time Critical Illness coverage while ensuring that you get returns comparable or better to our FD rates. You can view this as paying for the CI/life/TPD coverage & at the same time getting (without paying anything extra) savings returns like a FD. Sounds pretty good to me! A few things that you need to be aware of that *ahem* certain folks may not point out or inadvertently have left out. You can only claim ONCE for either death (well if that happens first then no difference I guess >.<), TPD or CI. Most insurance policies allow you to claim twice (Once for CI & once for TPD/death). This reduces the cost for the insurer (passing the savings to you). You need to have sufficient cashflow & keep the policy long-term to realize the gains. The first few years, you will be paying largely for insurance costs. The guaranteed cash benefits as well will only be available from the 3rd year onwards. Estimated break-even point is in the 11th policy year. Notes: Estimated 5%-7% returns for cash bonus portion. Bonus for Y1 & Y2 shall vest & payable after policy inforce 2 full years. How do I check how much coverage I need? Dig out all your existing policies & look for Critical Illness, 36 Covered Events, or Dread Diseases. It will usually be stated on the front summary page. Older policies may not have CI coverage. Q: What is the absotively minimum premium? Q: What is the minimum amount covered CI/Life/TPD ? Q: What is the maturity age? Q: Can I surrender the policy earlier than age 87? Q: What is the Internal Rate of Return?